The original North Station on Causeway Street in Boston, around 1893-1899. Image courtesy of the Library of Congress, Detroit Publishing Company Collection. 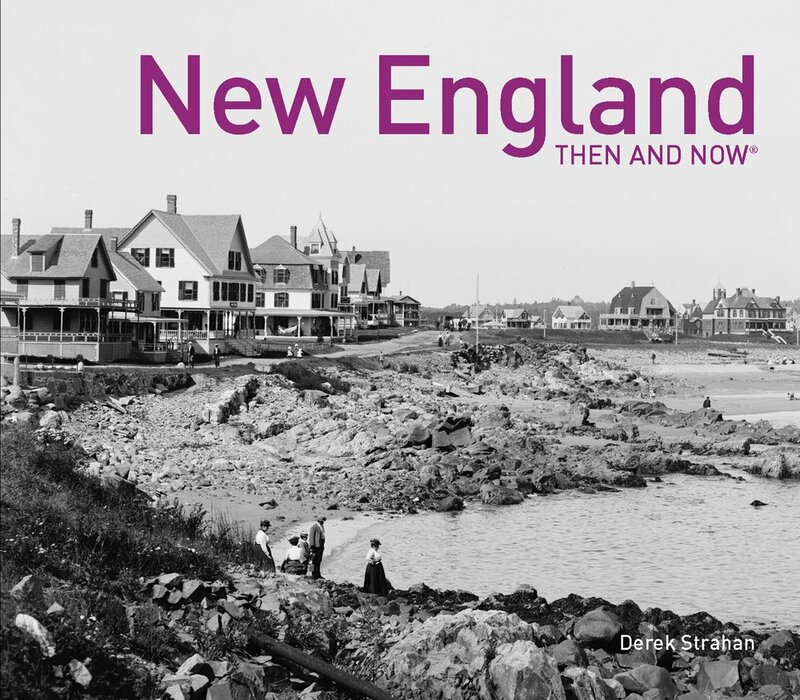 Oliver Wendell Holmes once wrote about Boston as being “The Hub of the Solar System,” and although he was using the phrase sarcastically, the city would soon become the transportation hub of New England. By the late 1800s, there were at least eight railroads that radiated outward from Boston, with each one having its own separate terminal. However, these eight different stations were both inconvenient for passengers and also a poor use of valuable land. 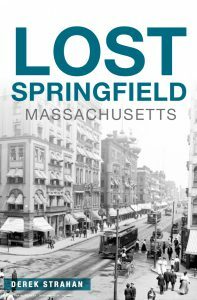 Here in the northern part of the city, four different railroads each had their own stations within a several block radius: the Boston and Maine, Boston and Lowell, Eastern Railroad, and the Fitchburg Railroad. All but the Boston and Maine had their passenger terminals in a row here along Causeway Street, so in 1893 the North Union Station opened here, consolidating all four railroads into one building. It was designed by Shepley, Rutan and Coolidge, a prominent Boston architectural firm that would design South Station six years later, when the four south side terminals were likewise consolidated. 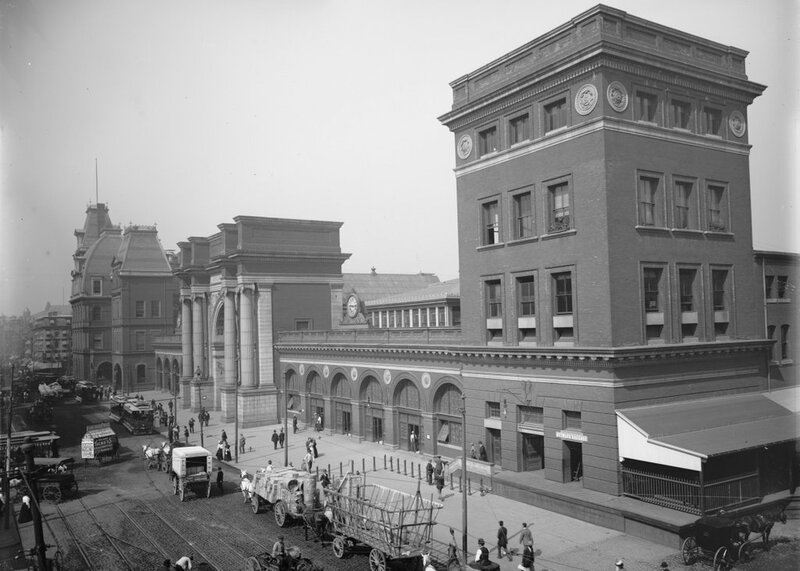 The original North Station was demolished in 1927 to build the Boston Garden, which also included a reconstructed station. 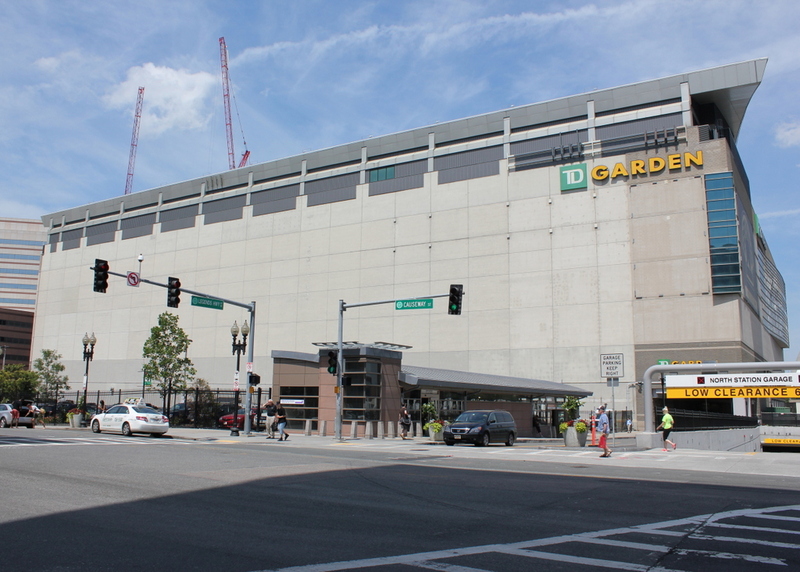 Boston Garden was home to the Boston Bruins from 1928 to 1995, and the Boston Celtics from 1946 to 1995, and the it was demolished in 1998, three years after the completion of the present-day TD Garden. Today’s North Station is located directly underneath the TD Garden, although today none of the four railroads that opened the first station even exist anymore. Amtrak has only one passenger route, the Downeaster, that stops here, although it is the terminal for four of the MBTA Commuter Rail lines. Above the station, the Bruins and Celtics still play here, just behind the spot where the Boston Garden once stood.